UPDATE, 1.45PM: A man allegedly involved a crime spree in Bundaberg has been arrested after a dramatic police chase that ended in a crash in Maryborough today. 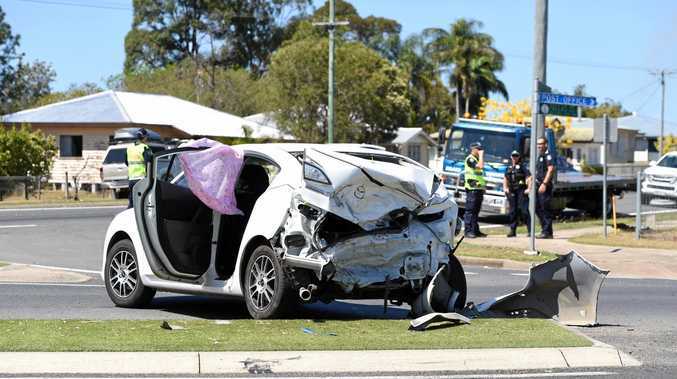 Hervey Bay grandmother Lee-ann Kennedy was driving daughter Holley and her five-month-old granddaughter to the Sunshine Coast when her Mazda3 collided with a ute allegedly being driven by the wanted Bundaberg man at the corner of Saltwater Creek Rd and Pallas St about 10am. The 28-year-old allegedly fled but was chased and cornered by police and tasered by an officer. Ms Kennedy told the Fraser Coast Chronicle she felt like everything was in slow motion during the crash. "There was glass flying everywhere - everything was spinning," a shaken Ms Kennedy said. "The first thing I did was wonder if my girls were okay, especially the baby. "It was insane ... it could have killed all three of us." The manhunt was one of two in Maryborough today. 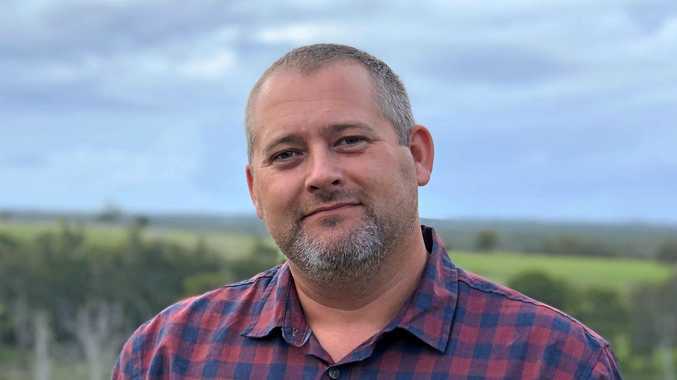 Initial reports indicated the driver involved in the other manhunt, behind the wheel of a silver Mercedes, was linked to the Bundaberg case. Coincidentally, that driver drove around the crash scene as police pursued him. The driver of the silver Mercedes is still at large. A major police operation is underway in Maryborough where a driver wearing a balaclava is understood to be on the run in a silver Mercedes. Multiple police units are involved in the search for the vehicle with the registration 383-VLX. A police spokesman said the cases were possibly linked and further information would be available shortly. A Fraser Coast Chronicle reporter is on the scene, with more information to come. Members of the public are urged not to approach the driver or vehicle and to call 000 immediately. The search for the Mercedes unfolded during a chaotic morning for police. The Chronicle understands the car swerved around a crash on Saltwater Creek Rd, where a separate manhunt was underway.